After some threatening weather in the hours before the start of the second Food Truck Rodeo of 2013, the skies cleared and we were all treated to some beautiful sunshine and fantastic food options from trucks and carts all over WNY. Great crowds kept most of the vendors busy all evening long and made for a lively environment. 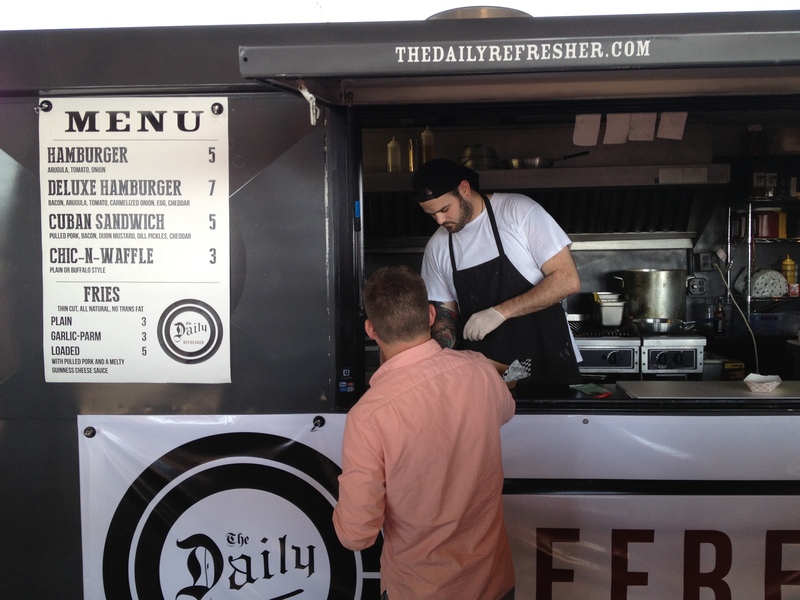 For those that haven’t seen it yet, The Daily Refresher bar has recently opened their new late night street meat cart and they made their Rodeo debut last night. Solid looking basic menu focusing on the foods that late night people are hunting for and I can’t wait to try them out soon. We started off our eating with a refreshing tamarind shaved ice at Lynez Frozen Delights which warmed up our palates and got us energized for some more hearty fare. Definitely recommended if you see them around town. Marty’s Meats had a great menu Wednesday night and we sampled a couple. 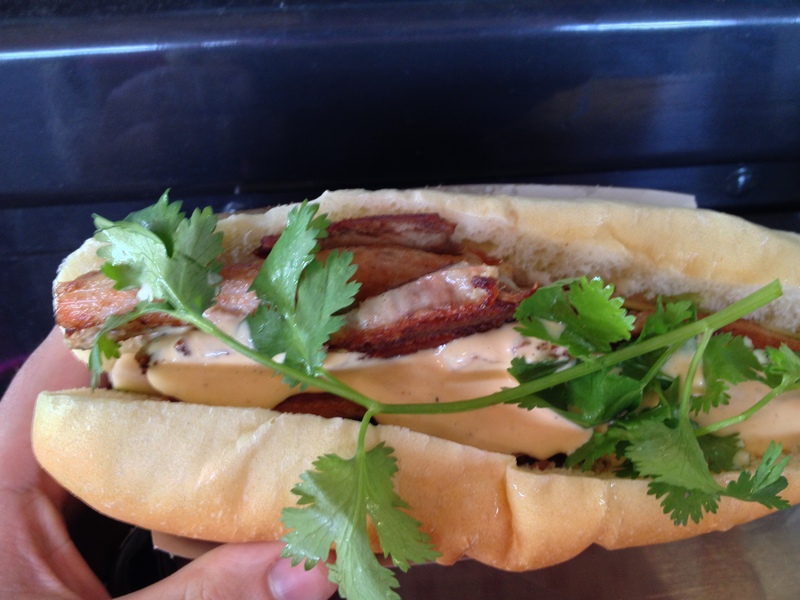 The pork belly banh mi was solid with a healthy serving of their well rendered crispy pork belly and toppings including a slightly spicy sauce and pickles that really made the whole sandwich pop. 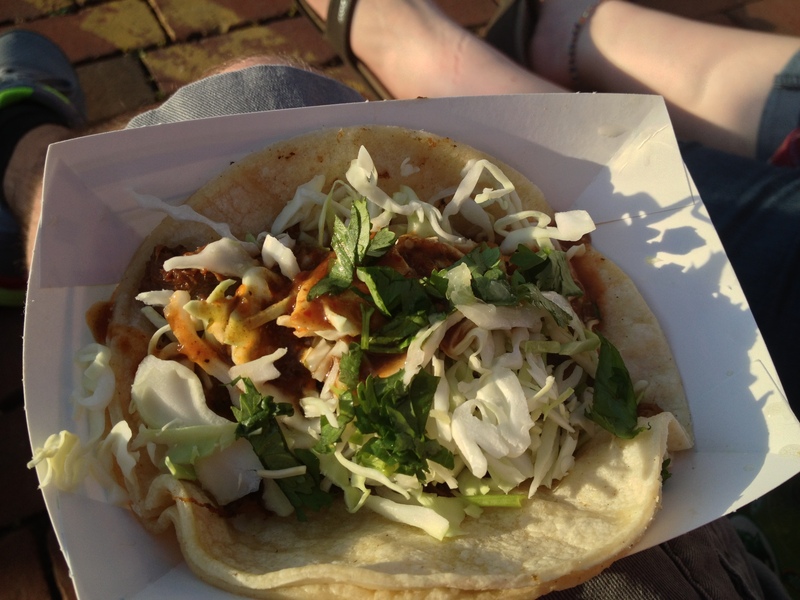 Even though we enjoyed the banh mi, the tacos de lengua were the star of the show. 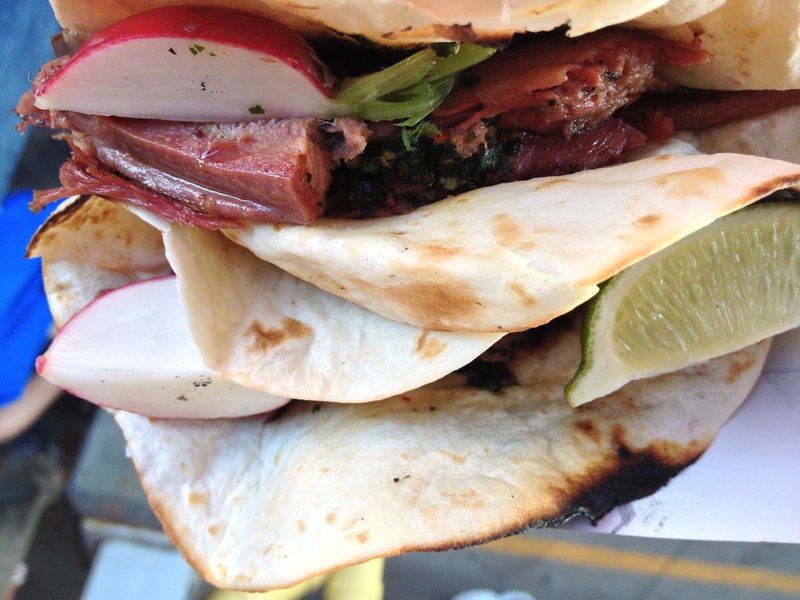 Large chunks of perfectly seasoned tongue that reminded of great corned beef were placed in well charred flour tortillas and topped with chimichurri sauce and a radish chunk. Hot damn were they fantastic! One of the best tongue preparations I’ve had and if they have it on the menu again you have to give it a try. 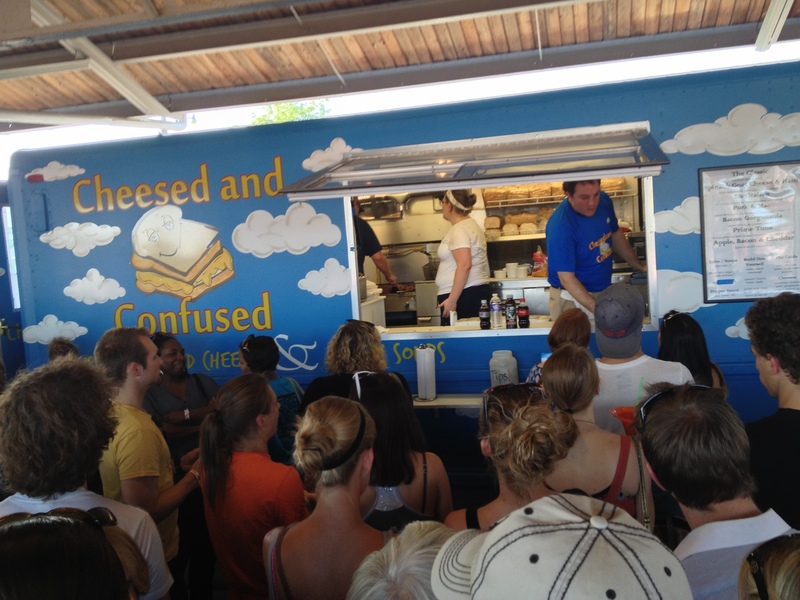 We met up with my buddy Juan Vasquez and Mark Gillespie from 585 Magazine over at the Cheesed and Confused truck from Geneseo and tried their pork & mac sandwich which had BBQ pork, mac and cheese and pepperjack on toasted white bread. Obviously a bit on the heavy side but still successful with the slight BBQ tang to cut the richness and plenty of salt. Multiple comfort foods in one! I grabbed a braised beef taco from Buffalo’s infamous Lloyd’s Dos and really loved the combination of the flavorful salsa/hot sauce combo, crunchy veg and the double corn tortilla. Glad to see them at the Rodeo again! We finished off with a couple of the dessert options around the market. The foie gras donut with strawberry jam from Marty’s got split up between Juan, Mark and myself and it was definitely the most unique offering of the evening. Salty, savory and sweet all at the same time and very rich. I enjoyed it but wouldn’t want to make eating it a regular thing for the sake of my waistline. 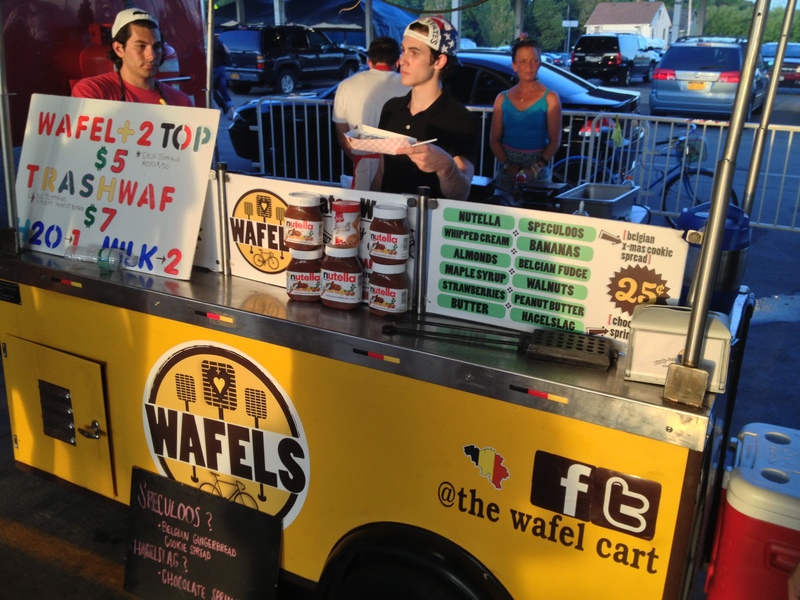 The Wafel Cart was our other sweet treat stop and I really enjoyed the crunchy Belgian waffle dough smothered with speculoos (like a spiced gingerbread cookie spread) and bananas. The dense dough was different than any I’d had before with more flavor than the typical airy waffles you might get at home or most restaurants. 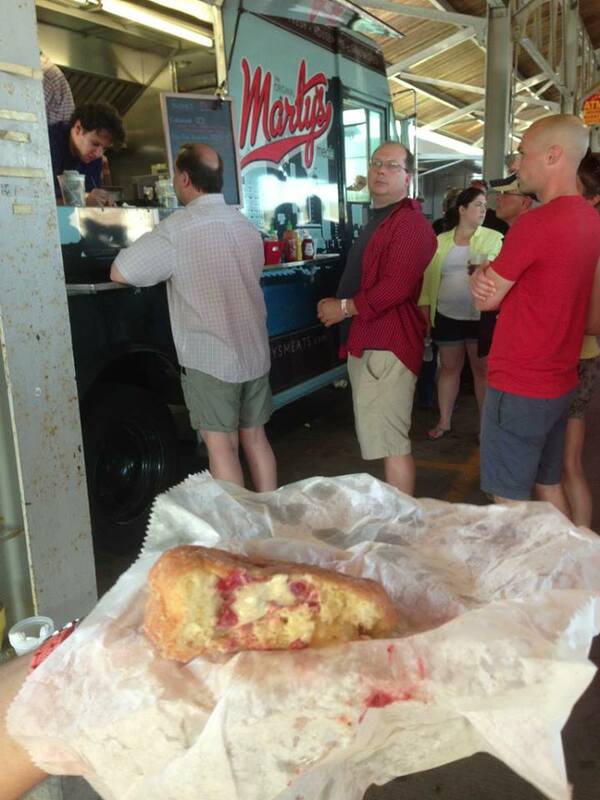 We’ll definitely be going back to them on some Saturday mornings at the Public Market. Another great Rodeo and, for those that haven’t been out to one yet, make sure to check it out the next one on July 31. Until then, check out all the trucks and carts around the city and downtown now that they have been approved! 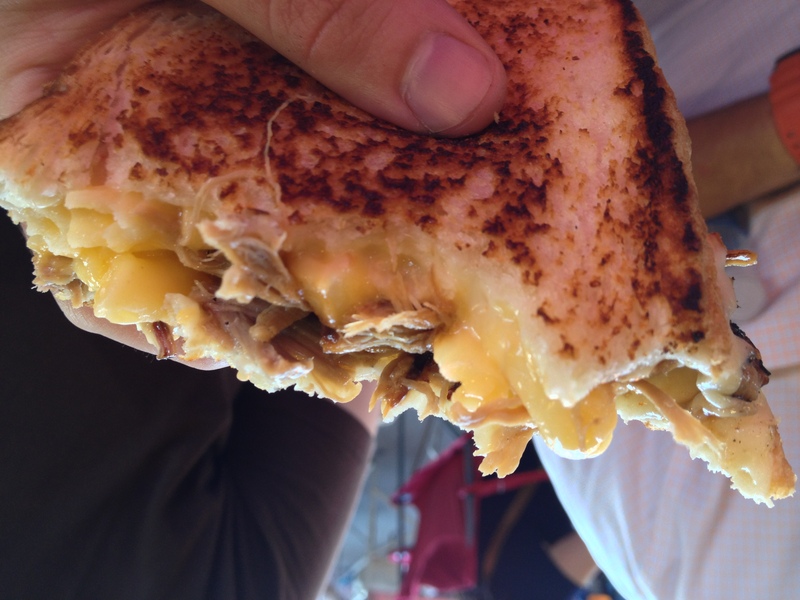 Pork and Mac Grilled Cheese from the inside!